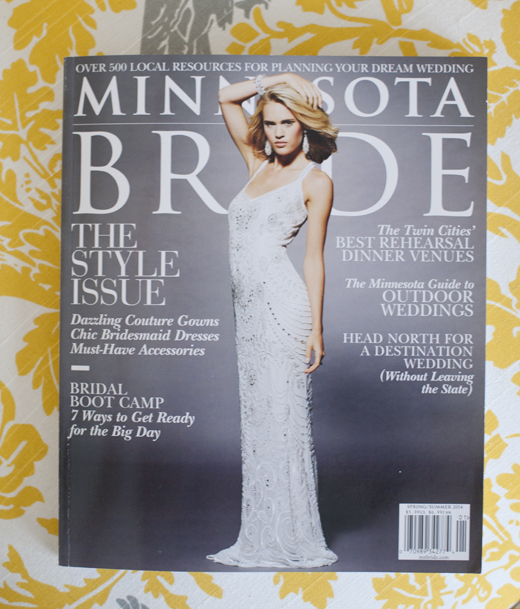 My Photos Featured in MN Bride Magazine! 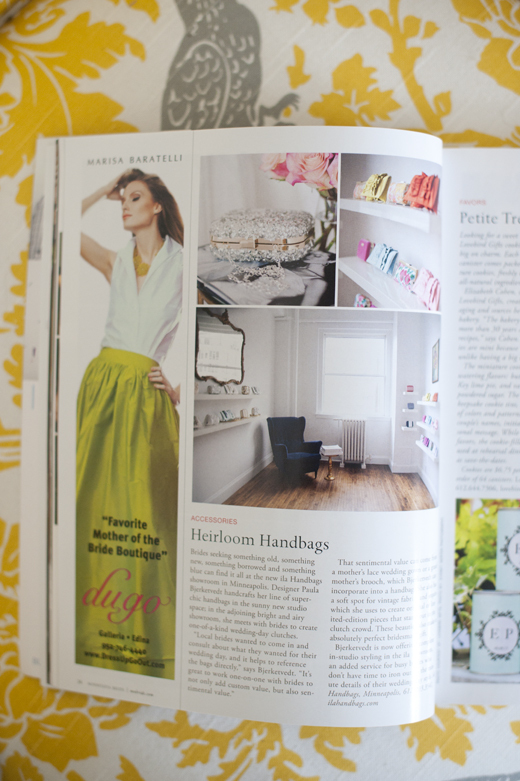 I recently found out that some of the photos I shot for ila Handbags are featured in the current Minnesota Bride magazine! There’s a nice little write up about Paula’s handbags as well. I LOVE them! They are really sweet and they would make a great addition to any wedding. Or, maybe you just want one for everyday, she can do that too! I love the handbags. I could use one for our cruises. Great for you to get more exposure, too!